We have a long tradition of teaching French. Longwood children entering secondary schools at Year 7 are often complimented on their standard of French, which is often way above similar aged children from other schools. "Madame" is highly experienced in teaching children of all ages in a fun and engaging style. She teaches children from Oak Room, right up to our UKS2 class. In Years 5/6, all children go on a residential trip to Northern France. 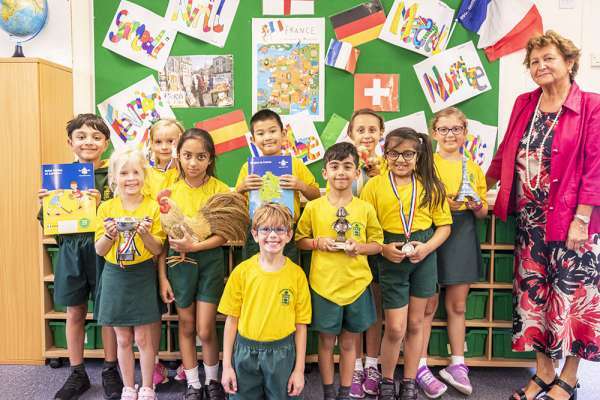 They enjoy a myriad of French cultural experiences and spend some time in a French school, sharing activities with the local children.